We often hear about the disadvantages of being a small, rural organization: smaller budgets, challenges recruiting top IT talent, and sometimes, a poor telecommunications infrastructure. What often gets lost in the shuffle are the benefits, one of which is being able to know every staff member, which can help leaders to better understand what keeps everything ticking, says Daryl Kallevig. 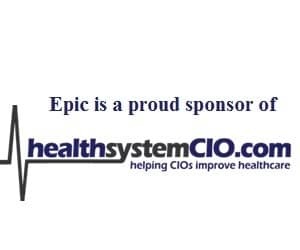 In this interview, he talks about partnering with Allina Health to implement Epic, the workflow redesign required when switching EHRs, and strategy he used to communicate with his team during the rollout process. Kallevig also talks about why patient engagement is critical for rural facilities, what his team is doing stay “on top of our game,” and his interesting career path. CIOs at a smaller org — “I have to wear a lot of hats. It’s all copper-based at this point, no fiber, so we’re really throttled from that perspective. We’re waiting for a couple of other vendors that are in the area to bring in fiber and build out fiber infrastructure within our area much more than what’s available to us now. I’ve been trying to advertise for a network server engineer for a year and a half. Over that time, I’ve only gotten four applicants, none of which were really qualified. So it is a tough game out here in northern Minnesota to be able to recruit IT talent. That’s part of what makes the job interesting — to have the ability to touch so much more and be so much more involved in some of the clinical areas like radiology and pharmacy. You get much closer to the day-to-day activities in those departments than in large organizations, so you really learn and understand a lot more. That does happen quite a bit here where there are individuals where we encourage them to pursue, for example, maybe an RN license. What I will do with this open position is take one of my desktop technician staff and send them to school to be a server network engineer. Gamble: I imagine you have a portal setup or are looking to do that? Kallevig: Yes, we have Epic’s ad a portal. We’ve gotten some extremely good comments from that. We get fairly good utilization of it, but Aitkin County in Minnesota is what’s termed one of the most underserved telecommunications counties in the US. We have a lot of rock and stuff, so it’s hard to build infrastructure within the area here in northern Minnesota. Gamble: Right. So that’s an ongoing challenge as far as making sure that people can access systems? Gamble: Is that something that goes through government as far as getting the infrastructure in there? Kallevig: There are telecommunication grants that are provided by the federal government, as well as the state of Minnesota, to help build out that infrastructure. I would say there probably aren’t enough dollars available, and it does take time to build out that infrastructure too. So when we talk about telecommunications here in Aitkin, I really only have two local vendors that I can go to, one being Charter Business and the other CenturyLink. They are the only ones providing service. We utilize Charter quite a bit for our telecom data circuits that we have. CenturyLink, for example, is a little bit different because they can’t provide IP services to us very effectively. It’s all copper-based at this point, no fiber, so we’re really throttled from that perspective. We’re waiting for a couple of these other vendors that are in the area to bring in fiber and build out fiber infrastructure within our area much more than what’s available to us now. Gamble: Right. That really does present a challenge when you’re talking about engaging with patients. I think it’s one of the reasons why people get frustrated with requirements that don’t take into account the fact that all areas are not equal as far as things like wireless. Gamble: You had mentioned being able to recruit and hold on to staff, and as you said, that’s also a challenge. How is your organization working to hold on to people or to recruit them when you have competition in the area? Kallevig: That goes along with pretty much any position within our organization, whether we’re trying to recruit physicians, IT staff, or RNs. A lot of the RNs, for example, we have were born and raised in Aitkin, so they come back. But to try and recruit IT positions has been tough. For example, before I came to Riverwood, the position was open for a year and a half, and I’ve been trying to advertise for a network server engineer for a year and a half. Over that entire time, I’ve only gotten four applicants, none of which were really qualified. So it is a tough game out here in northern Minnesota and the rural areas to be able to recruit IT talent, and then to get them to stay. Staying is actually pretty good for us. I believe our turnover rate is below 3 percent for the entire facility. Riverwood is an excellent place to work, but it’s getting them in the door that’s the problem. We can keep them; it’s getting them in the door that’s the issue. They just don’t think the area has some of the things that they offer. They need to love fishing and hunting, I guess. So you almost have to look for those kind of people to try and fill these jobs. Gamble: And you said that the job had been open for quite a while before you accepted? Gamble: So what made you want to come to this organization? Kallevig: Well, I’ve been in healthcare since 1983 and I had 10 years of IT experience prior to going into the healthcare side of it. I’ve worked in medium- to large-sized organizations. I spent some time out at Stanford University Medical Center, about a year out there, and then I worked nine and a half years with Mayo Clinic Health System out of southeastern Minnesota. My home is actually in Duluth, Minnesota, so I’ve been working away from home for 16 years now. Aitkin is only 85 miles away from my hometown, and that’s one of the things that really appealed to me — a lot less driving. Once I got here, I was pretty much sold on the organization and it’s been a great place to work. Gamble: I’m sure that that’s an interesting perspective, being somewhere that was part of Mayo, which is an obviously such a well-known organization and large organization, and then going to a smaller organization, I’m sure you had some perspective coming in. Kallevig: Yeah, I do. I really enjoy the smaller organizations because they’re really very family-oriented. I can’t say that I know the name of every person at Riverwood yet, but I’ve seen their face, I know where they work — I might just not have their first name right. That’s part of what I like in regard to a small organization is getting to know pretty much all of the staff members. It helps me to know and understand how the organization works and what it takes to keep it ticking well, I think. Gamble: And do you find that being a CIO at a small organization means you have to wear more hats or just be involved in some of the areas that you might not otherwise have as much involvement in? Kallevig: You have to wear a lot of hats because I personally do most of our phone system administration and I handle all of our fax machines. Typically, you wouldn’t see a CIO doing that in a medium- to large-scale organization, so yes, it’s very hands-on. That’s part of what makes the job interesting — to have the ability to touch so much more stuff and be so much more involved in, for example, some of the clinical technology areas like radiology and pharmacy. You get much closer to the day-to-day activities in those departments than in large organizations, so you really learn and understand a lot more of the day-to-day business within those areas. Gamble: In talking about the staff, you said retaining staff is not the difficult part, which is the good news. Do you find that you almost identify people and start grooming them for a certain role because you know that it is harder to get outside people? Kallevig: Yes, that does happen quite a bit here where there are individuals where we encourage them to pursue, for example, maybe an RN license. What I will do with this open position is take one of my desktop technician staff and send them to school to be a server network engineer. Gamble: That’s where it definitely comes in handy having more of a knowledge of the staff and maybe knowing people better than you might at a larger organization. Gamble: Okay, I think that that covers what I wanted to talk about, unless had anything else. I think this really gives a great view of what you’re working on and more insights into the critical access hospitals and the challenges you deal with and I think that this will be really useful for our readers and listeners. Gamble: Thanks so much for your time, I appreciate it. Kallevig: Sure, no problem. It was interesting. Gamble: So, I’ll be in touch, and I’d like to hopefully catch up a bit down the road to see how things are going once you’ve had a little more time with the new system and everything. Kallevig: All right, that sounds great. Gamble: Okay, Daryl, thanks so much. Kallevig: All right, thank you.